We had so much fun this week re-creating the Moon! Here’s a little sneak peek before I show you how to make it…. We started by reading a couple stories. 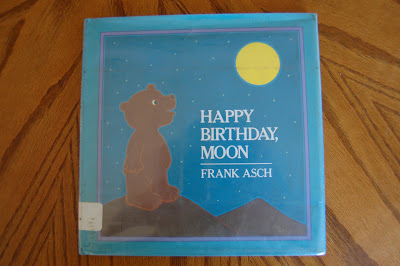 “Happy Birthday, Moon” by Frank Asch. Love this Story!! It’s about a Bear who thinks it would be fun to get the Moon a Birthday present. He climbs up to the top of a mountain to talk to the Moon and he really thinks the Moon is talking back to him, only it’s really just his own echo. My kids LOVED this story. They giggled and giggled and it was lots of fun! 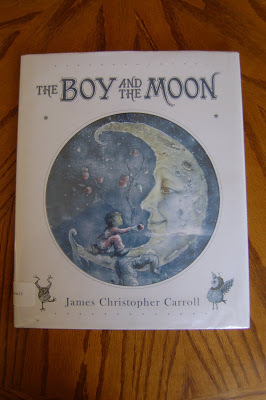 We also read “The Boy and the Moon” by James Carroll. Honestly, this story was weird and I didn’t like it at all. hahaha! 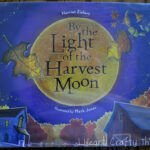 The only reason I read it to my kids was because I loved the illustrations in it of the Moon, and I also loved how it showed the Moon in different phases. Not a book to buy, just check it out at the library like I did. 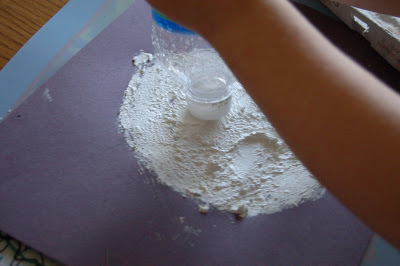 After reading we set off to make our very own Moon masterpieces. 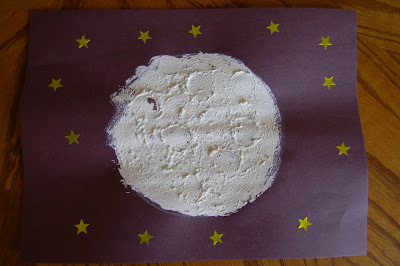 We wanted to make sure the moon had lots of texture so we used a special painting technique. This is how it turned out. 1. Trace your cereal bowl onto your black paper with the white crayon. 2. 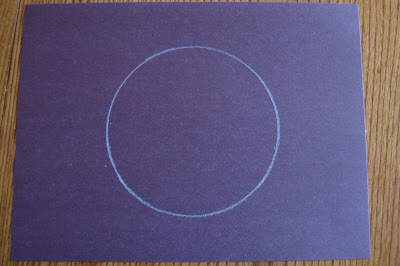 Mix together white paint with flour until it is the consistency of cottage cheese, and paint that onto your Moon circle. 3. 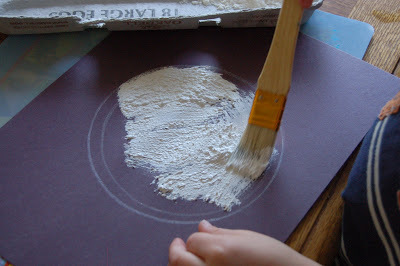 While the paint is still wet, press your circular plastic cap onto your Moon all over to create even more texture. Then let the paint dry completely. Since it was thick, we let it sit over night. 4. Add some star stickers for finishing touches. 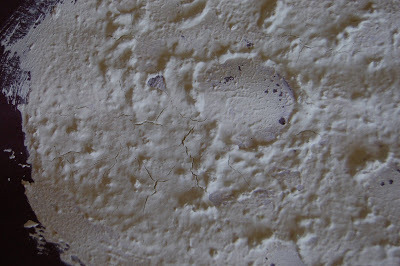 Here is a close up of the Moon when it is completely dry. 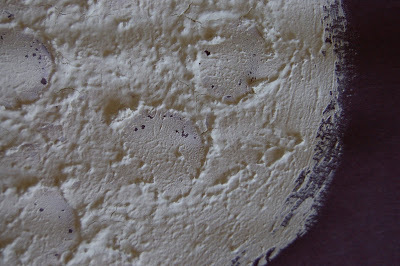 I love the circle indents and the cracks. Super fun stuff!! After we got all done with this project my 6yr old said, “I thought the Moon had gray in it Mommy.” So for added fun, it might be cool to add a bit of gray paint onto your dry Moon in places. I'm in awe. 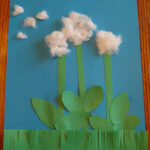 What an amazing piece of art for little hands. Very impressive. Hello Rachel, just want to stop by and let you know that you won the TUTorial Giveaway! Shoot me an email so we can plan your custom TUTU! HI, this is fantastic. Great idea. Thanks for sharing. Oh this is great! I think I'll have to do another moon project. : ) Thanks. What a cute project! How creative! Definitely will do this one! wow!!! love it so much ! Yet another fabulous fun project! You have so many great ideas! 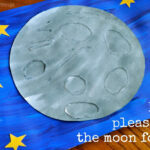 Cool moon craft! I'm going to use this next week when we do Goodnight Moon. This is so cool – my little guy loves all things space at the moment – we will have to try this craft out! thanks for sharing!